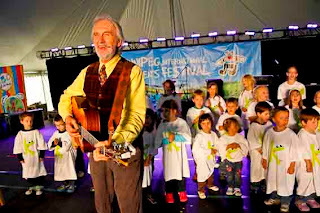 Kidsfest 2012 is happening June 7 to 10, 2012 at The Forks. 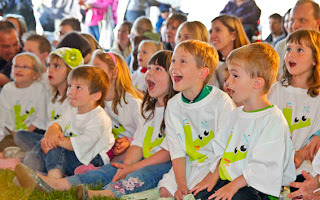 An interactive, life-like Dinosaur Petting Zoo, a plate-spinning comedic waiter, international children’s stars Fred Penner and Al Simmons, and a group of singing “baboons” are among the headliners of Kidsfest taking place. Check out all the performers here. 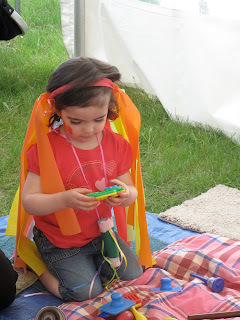 Kidsfest also presents more than 24 lively hands-on activity centres where kids can play with clay, make a kite, try on costumes, create a pair of wings, make crafts like necklaces and paper bag puppets and go “critter dipping.” All activities listed here. Advanced general public tickets are $14 each or $48 for a family pack of four. Gate prices are $16 each or $56 for a family pack of four. You can save on the gate prices by getting your advance tickets at all Winnipeg Safeway locations in early May. Children under two are free, and kids under 12 only need to pay once for the entire four day festival, provided they keep their wristbands on. Kids’ wristbands can be exchanged daily at the box office.